The problem with brainstorming as a creativity tool is that it’s unreliable. Brainstorming can give you hundreds of ideas quickly, but most of those ideas will be mundane. A strange law operates here. If you’re desperate for a great idea, the ideas you receive from brainstorming will be ordinary. On the other hand, if you’re just playing around and don’t care what the ideas you generate are like, you’ll come up with some gems. Over the years, I’ve developed techniques to improve the idea-quality of brainstorming sessions. In a nutshell: do free-writing before the brainstorming session, ask a question, and brainstorm with a tarot card. 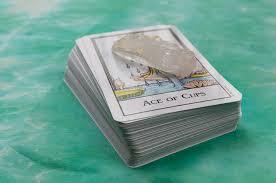 As you’ll see below, the tarot card is used solely as a visual stimulant to the brainstorming process. When you start brainstorming, the first ideas you get will be the ones on the surface of your mind. Makes sense, right? You’re digging, so you dig through the topsoil first. The easiest way to get through the topsoil is to do some free-writing before your brainstorming session. When you’re free-writing, you write, either by hand or on your PC, for a set period of time, usually 10 or 20 minutes. You can write on the topic that you’re about to brainstorm, or you can write whatever comes to mind. However it’s important that for the length of time you set, you keep writing. If you don’t know what to write, write: “I don’t know what to write” until something occurs to you, and then write that. Use a timer, or keep an eye on your watch, but when your free-writing time is up, just stop. What do you do with your free-writings? I either scrunch up the paper and toss it in the trash, or delete the computer file if I’m working on the computer. Occasionally free-writing will turn up a useable idea, and I save any good ideas I get. 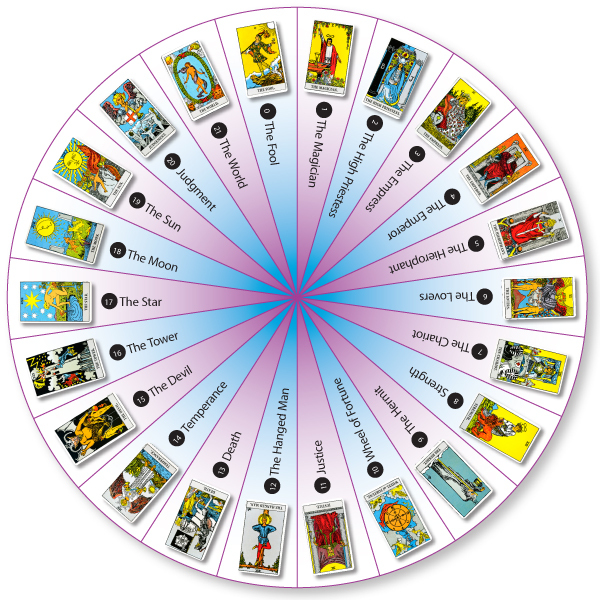 Prop up your chosen tarot card where you can glance at it, and free-write. Set yourself a time limit. Five minutes is too short, make it at least ten minutes, but no longer than 20 minutes. Now brainstorm on your question. You can set yourself a time limit, an ideas limit, or no limits at all, it’s completely up to you. I usually set myself a limit of 20 ideas, within three minutes. There’s a reason for this: if you leave yourself an unlimited amount of time, you’ll tend to editorialise as you write your ideas. Pushing for 20 ideas in three minutes stops this process. There’s no time to editorialise. Depending on what the question is, I may settle for one three-minute session, or do several quick sessions one after the other. 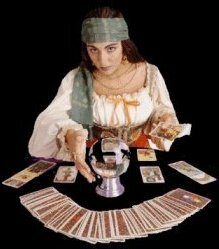 Glance at your tarot card occasionally. When you’ve finished, save and close your computer file, or file the paper you’ve been writing on. Try not to reread your ideas at this stage, you’re too close to the process. Go and do something else. It’s best not to look at your brainstorming ideas for a day or two. However, this may not always be possible. You may need an idea within the hour. In this case, go for a walk, or have a cup of coffee, or make some phone calls. Whatever you do, take a break of at least ten minutes. When you come back to read your brainstorming session, whether it’s a day later or fifteen minutes later, you’ll find an idea that you can use. Oddly enough, my experience is often that I come up with an excellent idea after the brainstorming session, when I’m away from my desk: it’s as if the session has primed the pump. How does the tarot card help brainstorming? I’ve no idea. (I’m honest.) My theory is that the card facilitates communication with your subconscious mind. Having a card propped up where you can glance at it does make a difference. Try it yourself. Try a brainstorming session with a card, then try another one the next day without a card.